Corynoneura is recognized as one of the most difficult group to classify, and there has been a long history of nomenclatural changes. Taxonomy of Corynoneura Winnertz (Diptera: Chironomidae) provides detailed and accurate taxonomy of the Corynoneura generic group and discusses the scientific basis for phylogenetic studies of Chironomidae. 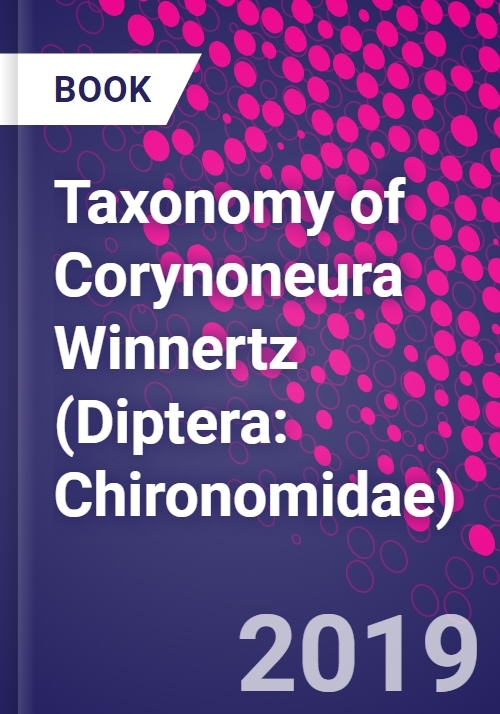 Taxonomy of Corynoneura Winnertz (Diptera: Chironomidae) is a useful resource for researchers and practitioners in the field of entomology, systematics, phylogeny, biogeography, biodiversity, and ecology. This book is composed of four main sections: introduction, keys, classification, and zoogeography. Coverage includes a preliminary biogeographic analysis of the worldwide fauna based on the Corynoneura generic group and species distribution data, summaries of the typical features used to classify an adult, and keys to all the Corynoneura generic group and male species of Corynoneura in the world. Over 100 species of Corynoneura are described in detail with morphological figures. Dr. Yue Fu, lead author of this book, received a doctor's degree in Zoology from Nankai University in Tianjin, China. She is currently an associate professor at Hubei University in Hubei, China. Dr. Fu is one of the most experienced specialists of the Corynoneura group in the world. She reviewed the group in Asia and the Nearctic region and she did the phylogeny of the group. This author group has studied on Chironomidae for 12 years and have published a number of papers on the Corynoneura group.